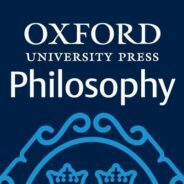 Panumas King, marketing executive for philosophy at Oxford University Press reports, "This July, the OUP Philosophy team honors Maurice Merleau-Ponty (1908-61) as their Philosopher of the Month." Photo: The Card Player (5th version) (ca.1894-1895) by Paul Cezanne, oil on canvas, Musée d’Orsay. Public Domain via Wikimedia Commons. Merleau-Ponty was a French phenomenologist and together with Sartre founded the existential philosophy. His work draws on the empirical psychology, the early phenomenology of Husserl, Saussure’s structuralism as well as Heidegger’s ontology. Merleau-Ponty also has profound influence in the field of aesthetics and art theory. His philosophy of painting rests on the three essays: ‘Cézanne’s Doubt’, ‘Indirect Language and the Voices of Silence’ and ‘Eye and Mind’.